Proper heating and cooling systems are essential for keeping your home comfortable through the extremes of the seasons. In the blazing hot, it can be dangerous to not have a functioning home cooling system, and the same goes for the brutal winters. It is also important to have efficient systems to extend their lives, save energy, and take pressure off of your wallet. 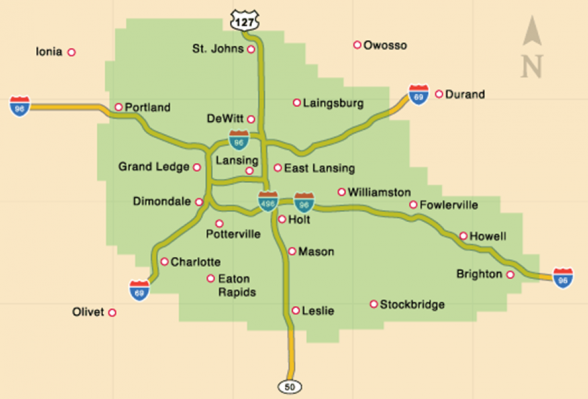 Applegate Home Comfort is home to the best heating and cooling experts in Michigan. We are dedicated to providing those in Lansing, Michigan with quality service to keep your family comfortable, no matter the season. Here’s a look at our heating and cooling services, and how to get in touch with us when you need it the most. A cooling system adjusts the temperature, and the humidity of your home. It is important to keep your home free of humidity to avoid mold and mildew that thrive in warm and moist environments. It is also important to get relief from the hot summer heat. It is recommended that your cooling system get a checkup in the spring before it will be needed to make sure that it will get your family comfortably through the summer. We will make sure that it is running efficiently, and does not need repair. It is important to make sure that your cooling system is operating well so you can avoid costly repairs or replacements down the road. Heating services are frequently needed by Michigan families to stay warm and cozy when it is freezing outside. Just like with a cooling system for the summer, your heating system should be serviced regularly, and have a check-up before it is turned on for the season. Even in the summer, you should regularly maintain your heating system, even when it is not in use to make sure that it will run properly when you need it most. Maintenance is important for both your heating and cooling system. When you have regular maintenance on your heating and cooling units, we can assess everything for damage, and replace parts before they cause a bigger and more expensive problem. The units themselves, wiring, ducts, and thermostats all need to be checked to make sure that your system is not working harder than it needs to. We can show you exactly how to make your home HVAC system the most efficient. This extends the life of your units and will save you money on energy and hefty repairs. No matter the problem, if your HVAC units need service or maintenance, give Applegate Home Comfort a call at 517-337-7700 or contact us here today. We are also available day and night for emergency services to make sure that your family stays comfortable and safe.